Real conservation is only achievable with the inclusion of all, especially those who live on the doorstep of iconic wildlife reserves. To really understand the challenges, you will be part of a wider inclusive program bringing both community and conservation concerns together. It is important to realize the issues and the possible solutions at the grassroots level. This is a very unique combination and gives an extraordinary insight that most travelers never experience. You will spend time working to help conserve the African Big 5, the ecosystems they inhabit and the variety of other species vital to the survival of healthy game reserves. Working side-by-side with our research team, you will collect essential data to support conservation work. 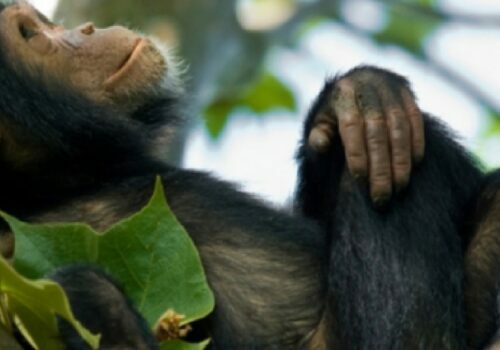 In order to sustainably support these conservation efforts; you will also be working with the surrounding communities. 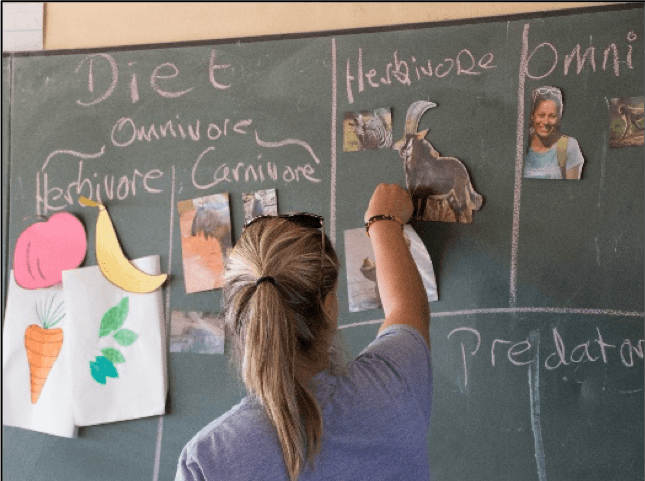 Your community involvement will include: enriching standard curriculums through additional lessons and after-school clubs with a focus on conservation education. Your knowledge and encouragement is incredibly important and provides a practical move towards integration and sustainable futures for wildlife, game reserves and the communities surrounding them. Situated in the heart of South Africa’s famous Big 5 Greater Kruger Area, we are surrounded by a number of world-renowned game reserves. The focal point of this area is, of course, the Kruger National Park, which is just 45 minutes from the lodge. The nearest town is Hoedspruit, a 30-minute drive from our lodge. We have an optional weekly trip into town on Fridays. This will give you the chance to visit supermarkets and souvenir shops or simply spend some time relaxing with a cup of coffee or an ice-cream. 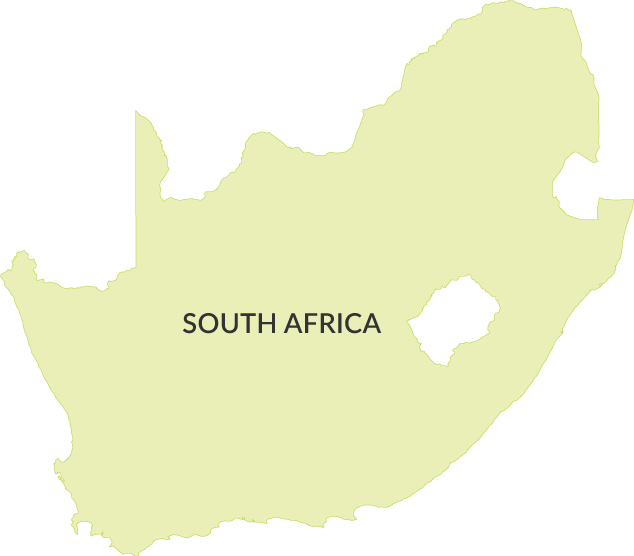 The unemployment rate in the provinces of Limpopo and Mpumalanga are amongst the highest in South Africa and one of the contributing factors is the low education levels. It is not uncommon to have large class sizes of between 50-60 children – all overseen by one teacher. All classes are taught in the local language up until Grade 4 when all classes, assignments and exams change to English. This can mean up to 42% of children in a class will fail English and therefore fail the whole grade. By assisting in basic education areas we help children to progress in school and to increase opportunities for their future. To improve English reading, speaking and comprehension we host Reading Clubs. Reading clubs encourage students to read and gain confidence speaking in English whilst making literacy fun! We also aim to improve basic literacy and numeracy through Conservation Education lessons. These lessons also promote an interest in the environment, wildlife, local ecosystems and how to protect them. To further encourage environmentally sustainable practices we support community member’s creation and maintenance of their vegetable gardens. These are beneficial for community members and their families’ self-sufficiency, nutrition and the potential to generate small incomes through selling surplus harvest. Through these means we can assist local community members from primary school up in supporting basic educational improvement while highlighting the importance of environmental protection. The Big 5 (rhino, lion, elephant, leopard and buffalo) are synonymous with Africa, but each is endangered and threatened within reduced wildlife areas. With poaching still on the increase and species’ populations dropping at alarming rates, active conservation methods are vital. Working side-by-side with our guides and project teams, you will help monitor and learn about these animals’ movements, health and habitats. Rhino are monitored to protect both the threatened white rhino and the critically endangered black rhino. You will learn how to capture data that includes their general condition and help monitor their movement. Elephants are a migratory species that can cover vast distances and it is therefore essential that we have proper population estimates. The goal of this project is to assist our partner organization, Elephants Alive, by monitoring the movement of the elephant herds throughout the Greater Kruger Area. We create ID kits to add to the growing database of individuals to help better understand population dynamics and herd movements. Leopards are elusive by nature and, as such, are regarded as one of Africa’s intriguing predators however; they continue to be under increasing threat, mostly through land encroachment and development. Our aim is to understand the densities, movements and risk factors affecting leopards with a focus on human-wildlife conflict working toward supporting mutually beneficial co-existence. Lions are Africa’s most iconic species. They are disappearing at an alarming rate as more and more of their natural habitat and prey declines. Working closely with our partner ALERT (The African Lion & Environmental Research Trust), we monitor pride dynamics and social structures in order to assess the viability of long-term lion repopulation programs. English is an essential skill. Understanding and speaking it will help these children gain future employment. Reading club is a wonderful, fun opportunity to develop the children’s English reading and speaking abilities. You will help them to read through books in the school libraries and in time, progress their basic understanding and comprehension of literature. Reading and storytelling provides a supportive environment that helps promote literacy, build confidence and have fun! Through games, crafts and informal lessons you will be working with local youth to highlight the importance of various aspects of conservation inclusive of wildlife and why conserving the environment is vital. 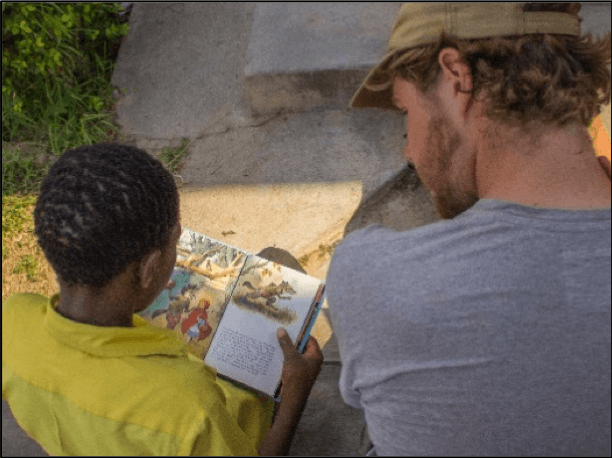 The importance of education for local youth is paramount in the efforts to protect and conserve the environment and South Africa’s heritage. 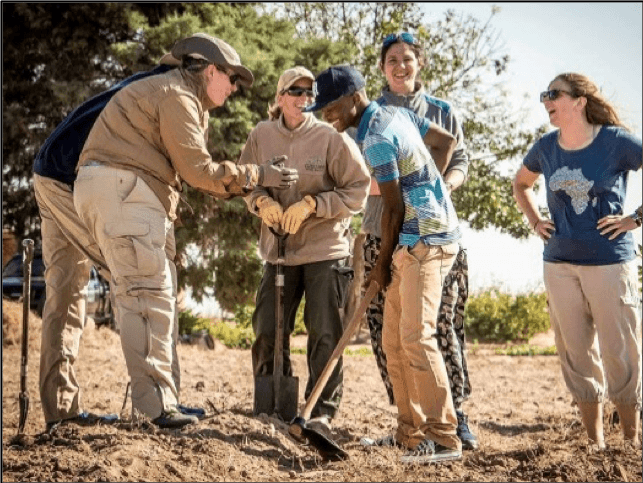 Conservation Club is used as a tool, not only to encourage environmental interest, but also helps improve their other academic skills and future career opportunities. In order to support unemployed people in the community we assist in the creation and maintenance of vegetable gardens. This project empowers those involved to feed themselves and their family. The individuals involved in this project also help to sustain the model by producing vegetable garden starter kits and therefore extending these benefits to others. This increases the number of people in the community who can provide sustenance and nutrition for themselves and for their families, but may also help them become the farmers of the future. Join our qualified guides and research team on game drives in search of the Big 5 and a variety of Africa’s wildlife. Observe and collect data that ensures our vital records are maintained. Using our detailed ID kits, you will identify individuals in the field and monitor their behaviors and movements. You will be recording data using our comprehensive data sheets, which help build our ongoing research database. We need your help to, remove invasive plants, conduct snare sweeps and return the land into a habitat for which the wildlife can flourish. Don’t worry about your physical ability, we have a role for everyone and many hands are needed. You will help to compile and analyse the data that has been collected on your research drives. Using whisker patterns, scars and ear notches you will understand how to distinguish individuals. This data will be used not only to create maps and reports but can also be used to provide information and vital statistics for conservation education lessons. Plan and deliver fun, exciting and informative conservation lessons to help improve knowledge and inspire interest wildlife and the environment. Explore the Blyde River Canyon, take in the breathtaking Panorama Route or add another stamp to your passport by visiting the intriguing landlocked country of Swaziland over your weekends. 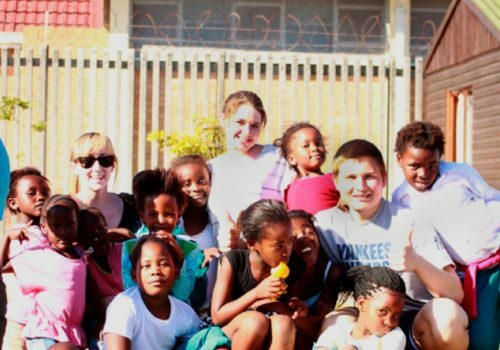 Make friends for life with other International volunteers! **Note: Patience and enthusiasm are essential for this project J (a laptop is highly optional). During the weeks of the school holidays there will be holiday club. 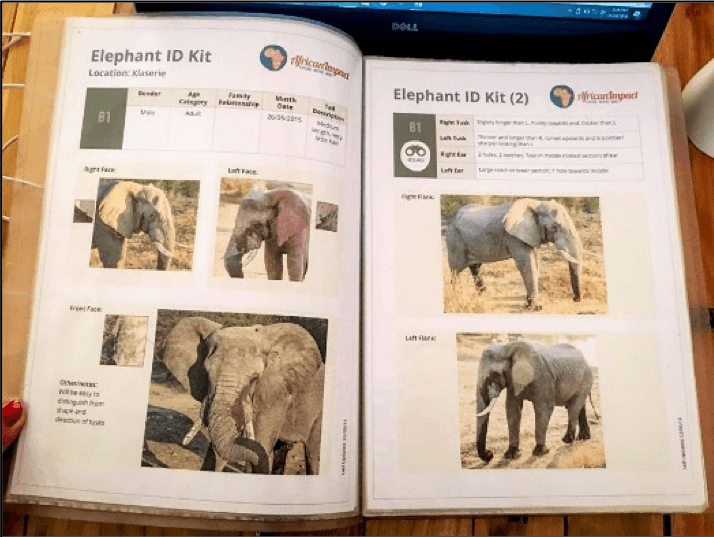 Mon AM: Research – Game Drive/ data collection. Elephant Presentation followed by Team Meeting. PM: Research – Game Drive. Night Research Drive/Overnight Camp. PM: Community – Conservation Club. Chill by the Fire. 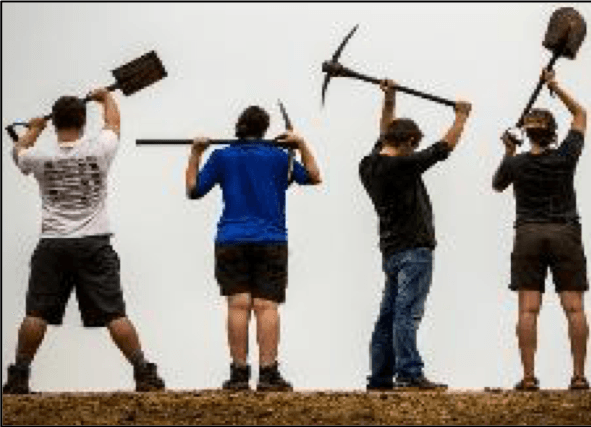 Thu AM: Community – Gardens. Shangaan Language Lesson followed by Project Work. PM: Community – Reading Club. 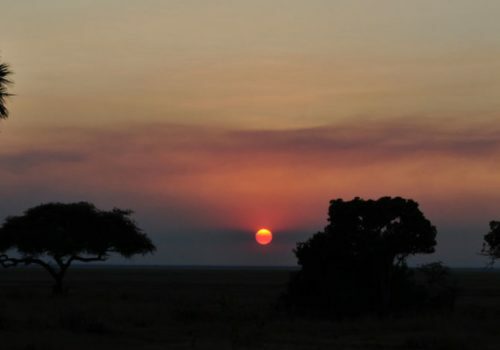 African Sundowners. Sat – Sun Cultural Tour with Lunch. Relax by the pool. During your volunteering, you will stay at our base within the Greater Kruger Area, Dumela Lodge, a spacious thatched lodge boasting a large swimming pool and situated on 18 hectares of land. This beautiful landscape serves as home to impala, bush pig, nyala and a great diversity of birdlife. Here, you will dine, relax and socialize. We don’t know of a better place to sit around a campfire and admire the stars. Dumela means “hello” in Northern Sotho (pronounced “sootoo”). The lodge is situated on an 18-hectare private reserve and surrounded by wilderness and private game reserves. It is home to Vervet Monkeys, Impala, Warthog, Bush Buck, Nyla, the occasional leopard and numerous birds to name but a few. 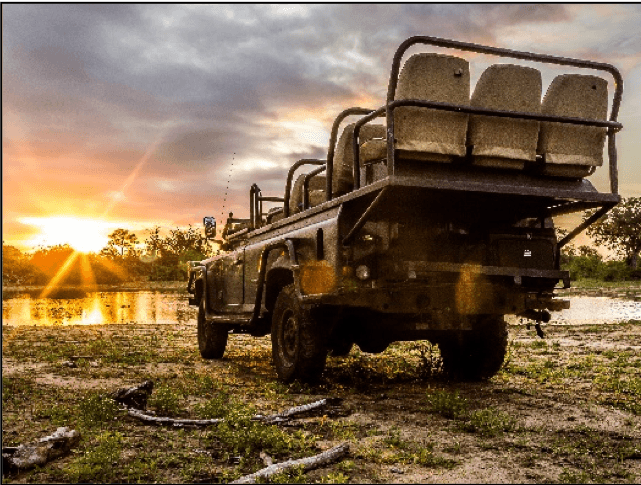 Situated in the heart of South Africa’s famous Big 5 Greater Kruger Area, we are surrounded by game reserves including the world-renowned Kruger National Park which is just 45 minutes from the lodge. From extra opportunities to see the Big 5, adrenaline-pumping activities, to exploring some of the most stunning landscapes around, our weekend tours will give you an opportunity to relax and see more of what this area has to offer. Below is a selection of some of the tours we offer. With one breathtaking view after another you will meander your way along the mountain tops to Gods Window. Enjoy the sights of the world’s third largest canyon, see the three rondawels, explore African curios markets, admire the circular sculptures of Bourke’s Luck canyon and much more. Go for a magical leisurely ride in the African Bush. 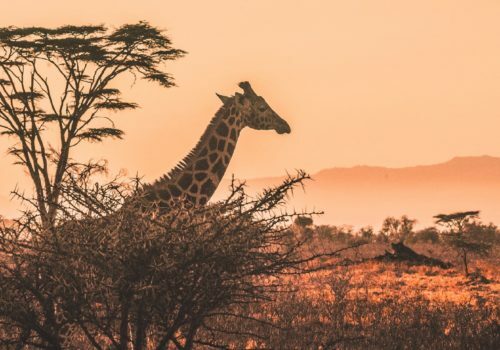 This is your chance to experience the African Bush in a unique way and if you’re lucky you’ll have the chance to get up close with plains game. It doesn’t matter if you’re an expert or a novice horse rider, anyone can join in the fun. Awaken your senses and let our head guide Jason take you on a walk into the bush. Spend the night camping in Klaserie, enjoy an amazing braai cooked by the braai master himself and learn more about the bush from an exciting new perspective. As small as it is landlocked, Swaziland is an exciting destination to visit. Swaziland makes up for its size with its diverse range of attractions and spectacular mountain landscapes. Spend your weekend in a plains game reserve, go on a hike, a horse ride or a guided mountain bike trail. Explore the Blyde River Canyon on foot and set your pulse racing with this unique form of hiking. It’s time to get the adrenaline pumping and is ideal for the adventurous. Hike your way down a small gorge and jump into deep crystal clear spring water.